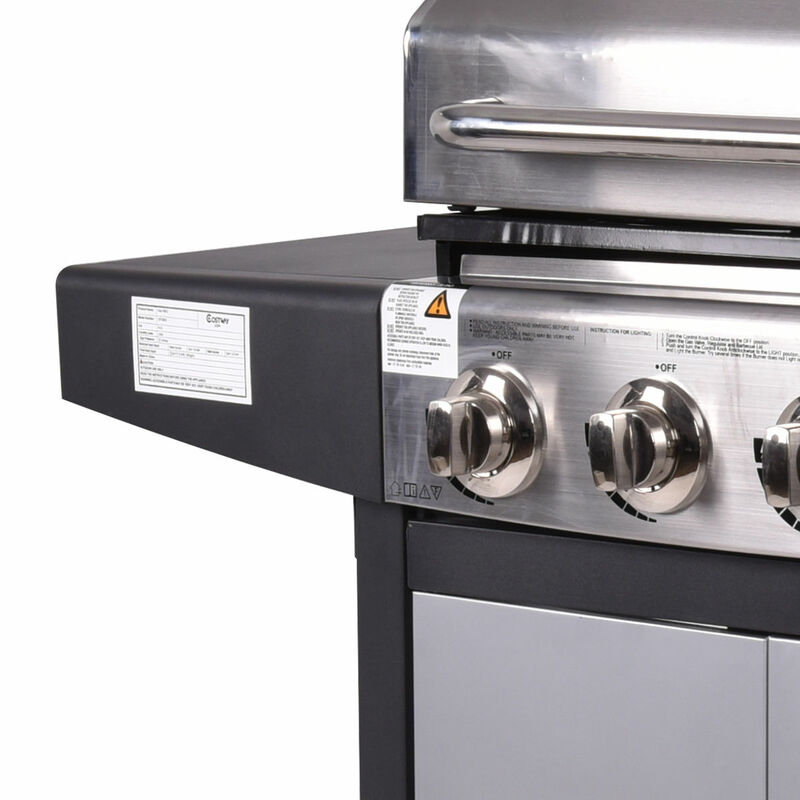 This Gas Porpane Grill is Perfect to enjoy gatherings in your backyard.The 4 Burner Gas Grill features 4 burners that deliver 48,000 BTUs of heat and 416 Square Inch total cooking surface. The flush lidded 12,000 BTU side burner provides extra work space. A stainless steel control panel protects against corrosion. Electronic ignition at the push of a button makes it super easy to fire up this gas grill. This Gas Propane BBQ Grill Will Give You Years Of Dependable Use. You Will Never Regret To Buy It! Just Place The Order Now!